In our industry experience counts, and we have earned a reputation for good old fashioned quality of service and trust. Our team have many years of experience between them and we are proud to supply all of our products backed with help and free advice. From helping plumbers and designers specify central heating requirements, boiler sizes and more through to helping domestic customers with plumbing supplies and spare parts. 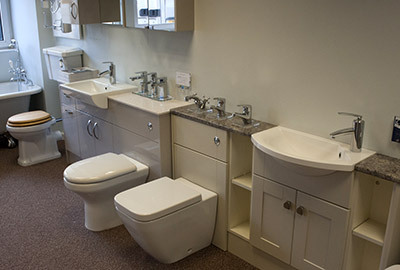 Pop in any time to see a range of bathroom and heating products on display. We have various toilet/bathroom suites on display and are on hand to help with samples, catalogues and advice. Most products are available either from stock or within a working day or two. 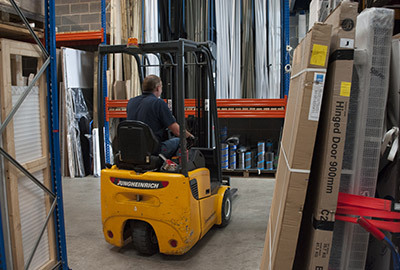 We hold extensive stock in our warehouse and shop and customers can pick items for collection pretty much immediately. If we don’t have it we can order it in and this never takes long! 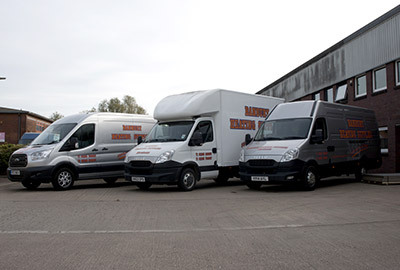 Our fleet of delivery vans allow delivery to you on-site free locally. If you need it quickly give us a call and more often than not it will be with you the same day.